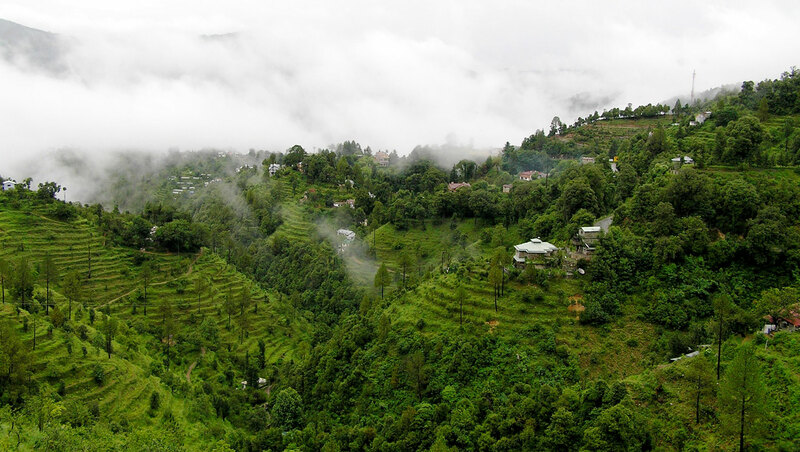 Ramgarh is a small tourist destination in the Kumaon region and it just about 20 km from Bhimtal. Ramgarh is also known as ‘Fruit Bowl of Kumaon‘. The natural beauty of the surroundings has been a source of inspiration to great writers and artists including Rabindranath Tagore who, it is said, wrote one of his most famous works ‘Gitanjali’ from a hilltop in Ramgarh, where he lived off and on for six years. He planned to set-up Shantiniketan here, but eventually chose his home state, Bengal. The renowned poetess Mahadevi Verma lived in Ramgarh and her home is now converted into a library of her works. Soulitude in the Himalayas is situated in Gagar, Ramgarh.